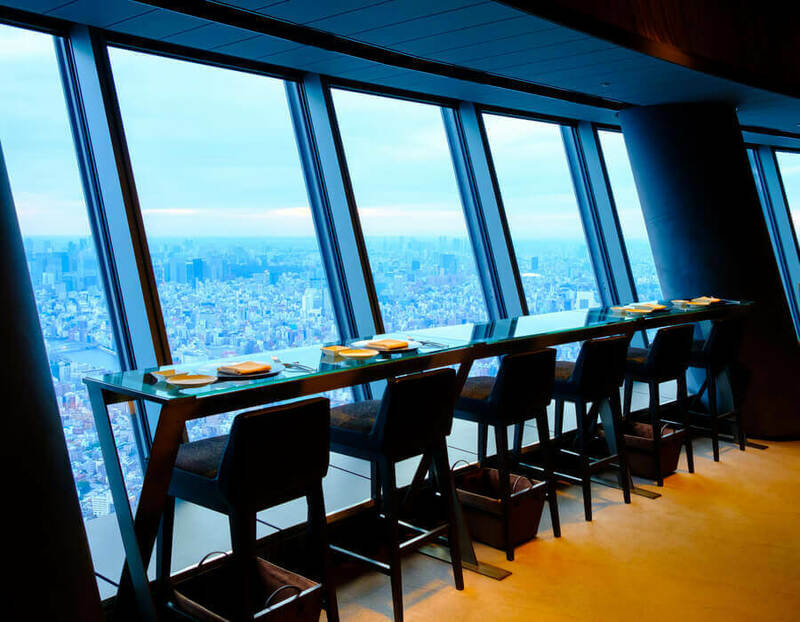 At the Tokyo Skytree, you can enjoy one of the best night views of Tokyo. 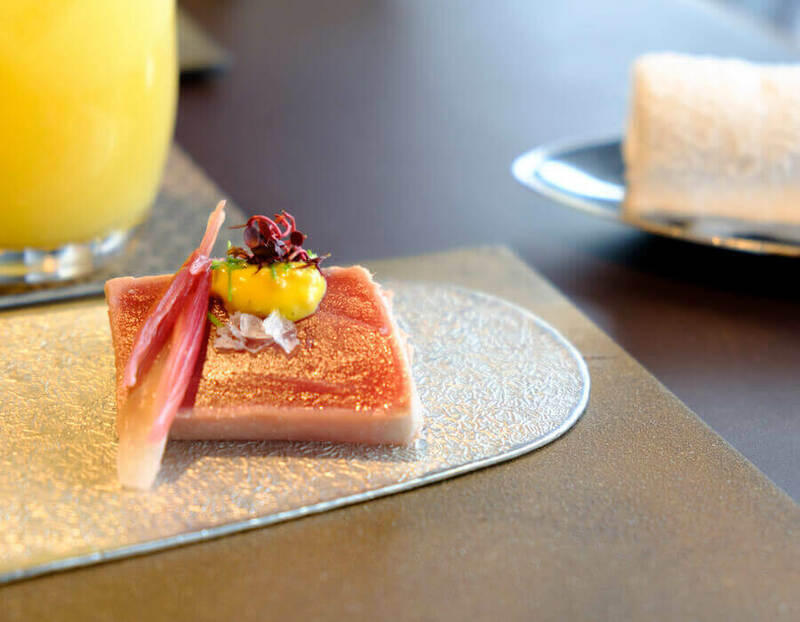 Two main dinner sets, Iki and Miyabi, are a fusion of Japanese and French cuisine. You can spend a special occasion with your loved ones and enjoy wine, flowers, chocolate and cake together. Children under the age of 10 are not allowed. Also, make sure you show up dressed in smart-casual wear because T-shirts, jeans, shorts and sandals are not allowed. 1. 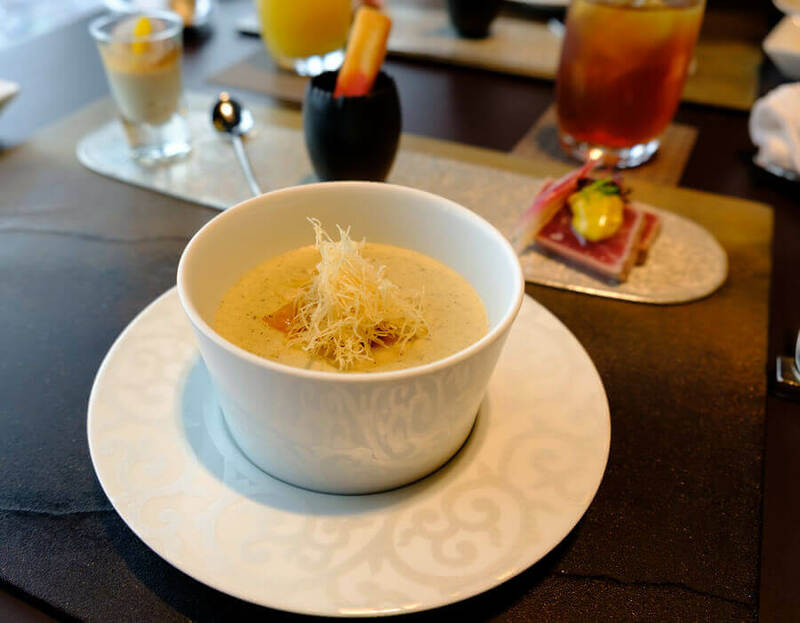 Start your exploration of Japanese-French fusion cuisine with a foamy creamed soup served in a traditional Edo kiriko (cut glass) dish. 2. This playful prawn dish is presented like a work of art – a feast for the eyes as well as the taste buds. 3. 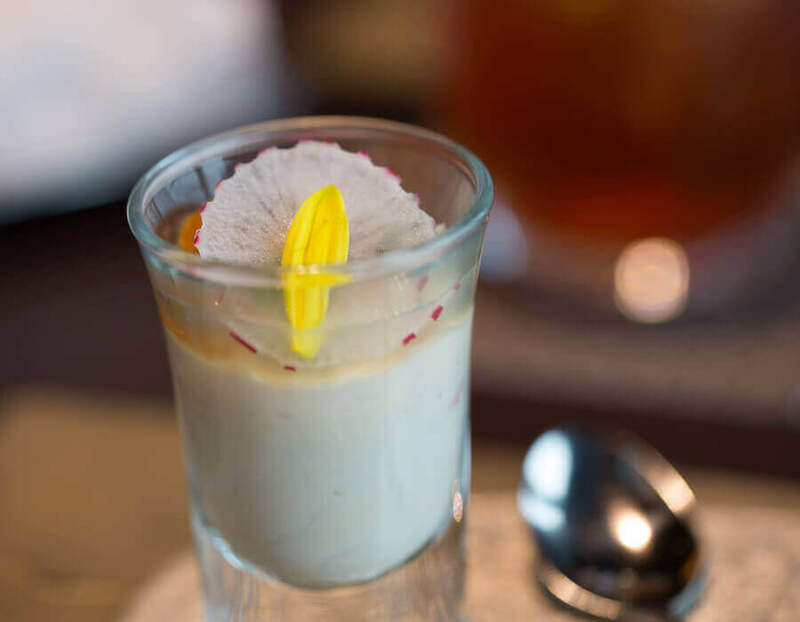 Chic tableware and clever plating create the perfect stage for sumptuous dishes like this strawberry sorbet. 4. What’s the perfect end to such a lush meal? 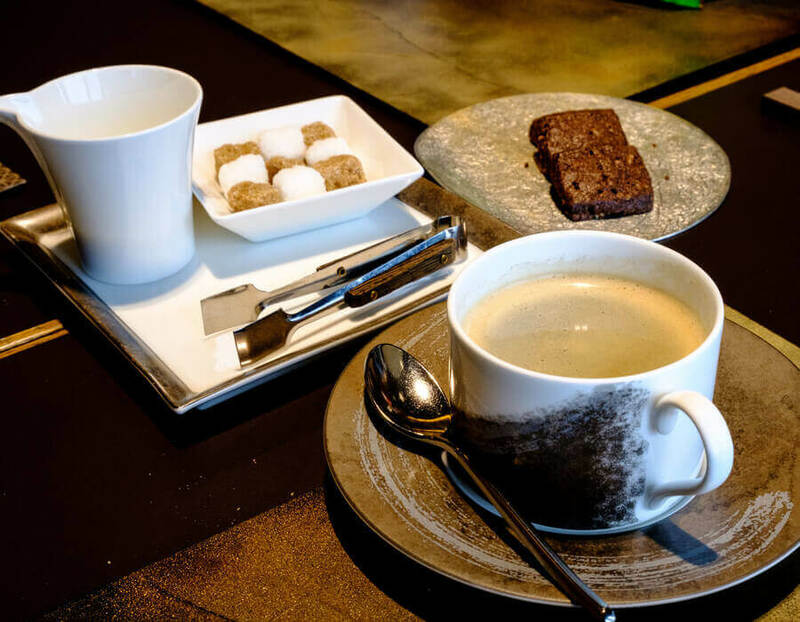 How about a simple, delicious cup of tea? 5. Ask your server to suggest the perfect wine to pair with your meal!